Endophytic microorganisms are ubiquitous colonizers of the inner plant tissues without normally causing any morphological changes or disease symptoms. Several molecular studies focused on endophytic bacteria or fungi revealed a diversity of species. Edaphic conditions and recognition traits required for a successful colonization of plant tissues by endophytes are described. 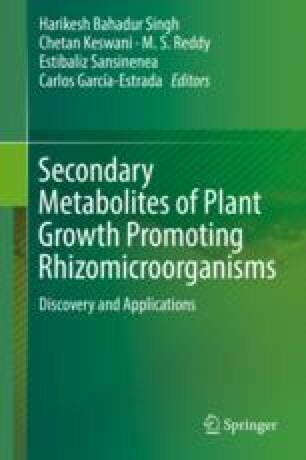 Beneficial endophytes promote plant growth and/or protect their host against phytopathogens through the production of various bioactive secondary metabolites. Efficiency of endophytes and/or their extracellular metabolites for suppression of plant diseases and promotion of plant growth and yield was largely investigated.